Power quality, harmonics, flicker and waveforms monitor. Highly commended in the Electrical Industry Awards 2009, the Power Master 7000 is a user-friendly, comprehensive, compact and cost-effective power quality monitoring and trouble-shooting unit. It offers virtually everything needed to monitor and record power for surveys and audits. It includes 4 voltage input channels capable for measuring 0 to 600 Vac and 4 current input channels for use with voltage output current clamps, or Rogowski Coil sensors supplied. Twelve pre-stored connection configurations are set for 3 phase, 2 phase and single phase measurements. Users can also configure their own set-up and math calculation requirements and save them to non-volatile memory. The PM7000 complements the Adaptive Store function with intelligent Waveform Capture. This real-time, auto-ranking mechanism is able to track and rank multiple categories of transient and other problem event types. It discards smaller events when larger ones occur, which means the best, most revealing events are captured without any prior knowledge of what might happen – and without wasting store, and without any re-arming time. This makes the whole waveform capture process sensitive/generous/sensible, abstemious and efficient instead of profligate – so data transfer, storage and search times are minimised. Like the benefits of Adaptive Store, these are also achieved without setting any thresholds! Cat IV 600V Phase A powered Power Quality Analyser. Flicker measurements to IEC61000-4-15: Instantaneous Flicker Sensation, Short Term and Long Term Flicker Perceptibility. Harmonics to the 50th (standard): THD and individual harmonics to the 50th as standard. As well as using the 32 detailed recording channels, record 1-50th harmonics on all voltage and current channels in General Parameters every measuring session (400 parameters). New! Configuration Guide lists in detail the 12 pre-stored configurations in the logger and shows how to set-up the PM7000 to get live recordings in just 15 minutes. Input Voltage:4 input channels. 0-600Vac or 0-1000Vac (if internal AC power supply disconnected). Sensors: In-line shrouded 4mm banana sockets. Fused voltage leads, crocodile clip. Input Current: 4 input channels. Sensors: Two ranges on two types. Menu Selectable Rogowski coil 0-6000A, 0-400A, or Voltage Type 0-1 Vac. Safety BNC Socket. Phase reversal in software. Waveform capture: High Speed sampling on all inputs. Troubleshooting: Utilising the patented single cycle Adaptive StoreTM to capture comprehensive detail over long recording periods on up to 32 selected parameters. General Parameter Analysis / Trends: > 470 parameters recorded automatically and simultaneously enabling reporting to recognised Standards. RMS Event Database: Monitoring for ‘official’ power quality events such as sags/surges/interruptions. Fault Level (optional): ½ cycle Peak Fault Level, RMS Break Fault Level at 50-90ms and ½ cycle. Results dependent on presence of abrupt voltage induced current disturbances > 0.15%. Downstream Motor Contribution. Configurations: Space for over 200 files. These may be used for configuration or recording sessions. Accuracy*: 0.2%. 0.1% in reference range 20-30°C (excluding sensors). +/-2LSB. Resolution: Programmable to 0.1 Vac and 0.1 Aac, 0.01V high resolution mode. General Parameter measurement: Records automatically. Fixed functions recorded on (selected) intervals. (1 sec to 2 hours). Voltage & Current RMS (Max, Min, Avg). THD / Harmonic Value (8 inputs), Flicker (3 Voltage inputs). Power (kW, VAR, AP, PF), Individual Harmonics 2-50 (8*50 signals on Volts and Current) or optional choice of 2-100 (4*100 on Volts or Current). Unbalance. AC Single Phase Installation: RMS, Stray Voltage RMS Hi Res < 35V, (line-neutral, line-line where appropriate). Real power W, Reactive Power VARS, Apparent Power VA, Power Factor PF, Displacement Power Factor, Phase Angle, Frequency, Instantaneous Flicker Sensation, Short Term & Long Term Perceptibility, Flicker Flag, Distortion Power. AC 2 (split) Phase Installation: Real Power, Reactive Power VARS, Apparent Power, Power Factor. AC 3 Phase Installation (Delta, Wye and variants): Real Power, Reactive Power VARS, Apparent Power, Power Factor, Voltage Unbalance, (Conventional & Sequential Components), Current Unbalance. Distortion Power, Positive Sequence Fundamental Real & Reactive Power (IEEE1459). Harmonics: Odds, Evens, Triplens, Individual Harmonics value to the 127th and % and Harmonic Direction to the 50th, K Factor, % Total Harmonic Distortion, Total Harmonic Value. Interharmonics. Symmetrical Components: Positive, negative, zero sequence: NPS, NPS/PPS (Voltage and Current), ZPS, ZPS/PPS (Voltage). Other Maths Options: Channel X * Constant, Channel X / Channel Y, Filtered Channel X, Internal Temperature, On Charge, Battery Volts. Waveform Capture: Sample rate – up to 1.2288 Ms/s in the PM7000T (~ 24,576 samples/cycle at 50 Hz) on 8 channels. Events examined, Ranked & stored in real time. Wave Retention Basis: Greatest disturbances (automatic ranking and low rank discard) and first past a threshold. Capture wave bracket: Wave Sets: from 20ms up to 60secs. Can be contiguous; no re-arming. Signals to be captured: offending wave / complementary current or voltage, All Voltages, All Currents. Triggers to be used: Transient, Ring, Notch, Sag, Surge, THD Volts, THD Current. Wave Allocation: Waves allocated across trigger functions. PM7000T (Turbo) 1,228.8k Samples per sec Also records automatically at 60Hz. Memory: 128MB Flash memory for all files. 32MB RAM for high speed waveform capture data, 64MB working RAM. Expansion with USB Memory Device. User Preferences – Stored in non-volatile Flash Memory. Portable Device Requirements for PMScreen and PMGateway: Android or Windows compatible. Data Retention: During recording sequential data is saved to Flash memory. Waveform capture data is held in RAM and transferred to Flash memory when recording ends. Configurations etc. stored in Flash memory. User Interface via remote screen: PC via Bluetooth or USB running PMScreen, or tablet/mobile phone/netbook (provided) via Bluetooth running PMScreen. Setup/Configuration and Data Review via remote screen. Data analysis using Pronto for Windows. Automatic download to USB stick. Displays On PMScreen: Power & Energy, Waveforms, Harmonics, Phasors, Harmonic Phasors, Trends, Statistics, List of Channels. Comparison to Standards. Interharmonics (optional). PMGateway App. : Enables Android mobile phone to act as a Gateway. Send data files to your inbox, start and stop recordings. USB: Memory module interface (non-isolated). USB: Serial interface to PC (isolated > 2.5kV) download to PC & control through Pronto for Windows. Ethernet: Connectivity through local network. Download to PC. Compatible with iHost. Power: Requires 100-600 VRMS, 15 W Max from Phase A voltage measurement (40 – 64Hz Rated power consumption 11Watts) or separate power supply at 12Vdc, 6 W.
Burden: Normally <10 VA from Phase A. If a charger is used the Power Supply is automatically disconnected from Phase A (input impedance per phase 32MOhms). Battery Capacity: 2100mAhrs (5 HI-Temp NiMH batteries). Battery Ride Through: Ten minutes at a time. Charge Method: From V1 input or from 12V Wall Charger (auto switching). A/D Converters, 2 sets: (i) 24 bit at 19.2 kSps, top 16 bits used normally for harmonics, power & energy, Flicker. (ii) 12 bits for High Speed and Turbo only. Measurement & Reporting Standards: IEC 61000-4-15, IEC 61000-4-7, IEC 61000-4-30, IEEE1453 (Flicker), IEEE1459, IEEE100, Report to EN50160. Safety Standards: IEC 61010, (600v Cat. IV, pollution level 2, 1000V CAT III if PSU fuses removed), CE Fused voltage leads (lead fuses 500mA, 700V, 50kA rupture current), IEC 61326 (EMC). Internal fusing: PSU (x2), Charger input, Battery stack, Internal Thermal Switch (x2). Computer Requirements for Pronto Software: Windows 2000, XP, Vista, 7; 250MB hard drive space. Case: Pelican 1150 Guard Box: Dimensions. 22.9 x 19.1 x 11.0cm. Weight: 3.5 kg. without leads and clamps. Operating Temp: -20ºC (-4º F) to 60ºC (140º F). Environmental: IP65. Main unit will tolerate momentary emersion when lid sealed. Leads and their connections are not watertight and for safety reasons we strongly recommend that the operator does not connect and disconnect the unit in wet environments. Applicable Patents: 6424277, 0230712, 4910692. Trouble shooting unknown power quality issues – Our unique recording regime Adaptive Store is especially useful for identifying and locating problems on your network, recording down to a single cycle the instant events occur without setting any thresholds. Unique precise capturing of sudden changes eg. transients, current spikes, harmonics, drop-outs and brown-outs to extremely high resolution makes detecting problems on your power distribution system easier. 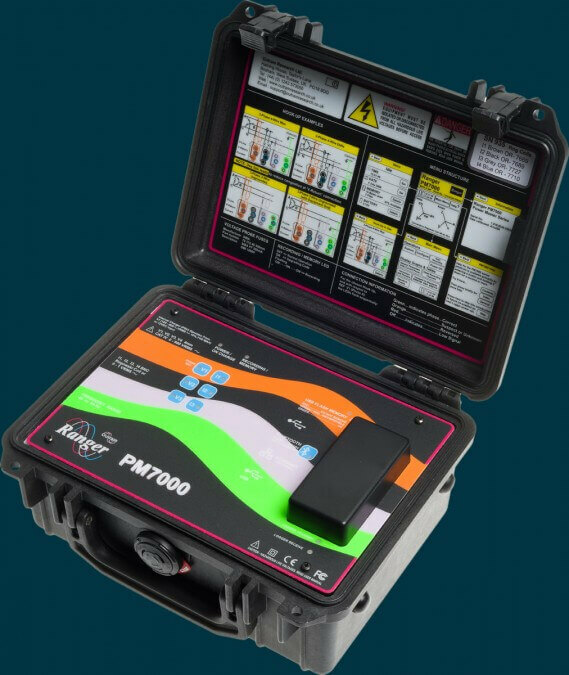 The PM7000 is often used when other units without this capability have failed to find a problem. Real time troubleshooting – Live results, harmonics, waveforms and EN50160 comparisons can all be viewed on an Android tablet or mobile phone via Bluetooth comms even whilst background recording is taking place. Get a head start on your site analysis right from the word go. New Equipment Installation – Benchmark before and check after the installation of new equipment to ensure quality of service has been maintained. Power Quality Surveys – record all parameters and create necessary graphs and tables to create your own professional reports. >470 channels are measured in General Parameters to ensure nothing is missed during each recording. G5/4 reporting available from April 2016. Long term monitoring – Discover solutions to hard to find or intermittent problems. Record indefinitely in FIFO mode until the event occurs again. If required download each recording automatically to a hard-drive or memory stick or transfer data via Wifi/3G/4G using our PMGateway App or Ethernet. Discounts available for long term hire. Speed up critical equipment recovery – Monitor important equipment to capture power quality events if and when it malfunctions. Use this information to get it back online more quickly. Harmonics Analysis – Monitor 2-100th Harmonic on 4 voltage or 4 current channels or 2-50th on 8 channels (400 harmonics) at the same time. 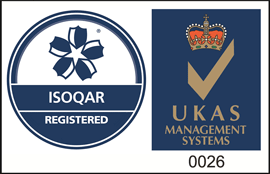 Make an assessment of your site conditions whilst checking compliance with the standards. G5/4 reporting available from April 2016. Customer complaints – Solve customer complaints including voltage or flicker problems using the ability to compare any data streams on the same graph in the Outram/Ranger Software, Pronto. E.g. RMS voltage and instantaneous flicker sensation (and any others) on the same graph. Finding the problem quickly using Adaptive Store recording regime means minimum customer disruption. Measure in remote locations – Automatic restart when power returns if unit is being powered off voltage measured. Preventive Maintenance – keep a track on your power quality to detect any problems before they cause your equipment damage or end up in costly down time. Fast Transient Capture – waveform capture to 1.228MHz with automatic ranking in Pronto to help you zoom in to the most important waveforms in the recording in seconds. Sags, Surges, Transients, Rings, Notches, THD, TH Current are all triggers. Network Characterization – measure non-sinusoidal and unbalanced systems. Power Quality Software: Our comprehensive and very flexible Pronto software is the same for all Outram/Ranger Equipment so even when hiring a variety of models you will still use the same software each time.